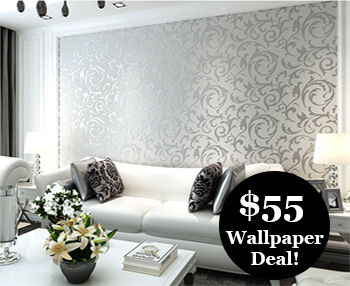 Hi, may i know if i want to purchase wallpaper from you, do you include installation? How much do you charge? 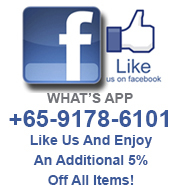 is your showroom is in Ngee Ann City or in bukit merah?if we want to see the items? May I know you do wallpaper service with the wallpaper purchase? What’s the cost? hello i would like to check do u help us to paste the wallpaper? how much would it cost to do whole room? Currently we are in a process of renovating 1 of our rooms and we would like to have some recommendation of wallpaper that would relate to the theme that we desired. Like to check if you have stock for BOS 59219-3. I will like to order. Pls advise lead time. Hi, i’ve tried to call several times and whatsapp few pictures for you. We would like to replace our office blind. May i know whether you can contact us for further information. An earliest reply would be appreciated. Thanks. We would like to invite you to quote for the following product our project. Specification: die cost aluminium construction, water prof rating IP54,Frosted glass with protective guard, power 220-240V/AC, E27 ceramic lamp holder, Length 175mm-200mm. Please furnish the breakdown figures for the cost of the light fitting and LED bulbs & tubes. Hi, i am keen to have a feature wall with Cultured Stone 060123. Could you please advise on installation cost? Hi, i’m looking at SG-887/SG-888 series $55 sale for my HDB 3room flat’s 1 living hall + 1 common bedroom at Blk 137 Jalan Bkt Merah. Could you pse quote me the price of wallpaper and installation ? How long do u need to complete the installation? If in future i want to do wall painting, would it be difficult to remove the wall paper ? Thank u ! hi i b renovating my newly bought 4-room flat next mth. if I plan to engage u for our wallpaper, feature wall (for living room and master bedroom) and maybe laminated flooring for all bedrooms, when shld u step-in to start and coincide with the renovation company? Kindly check with you, how much you charge for about 180cm(H) x 450cm(Length)? I’m looking for White greylish Bricks & Black tiles patterns wallpaper.